During your appointment, you have our undivided attention. 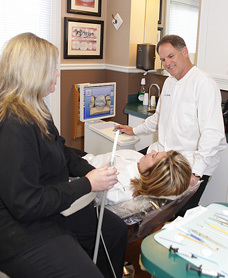 Our entire team is focused on getting to know each patient and providing the highest quality dental care. Simply call our office to schedule an appointment, or take advantage of our convenient online appointment request feature. We will do our best to set appointments at your earliest convenience. If you need to cancel or reschedule an appointment, please let us know as soon as possible.